Looking for textbook theory or fodder for 90-page marketing strategy documents? Then this really isn't the book for you! 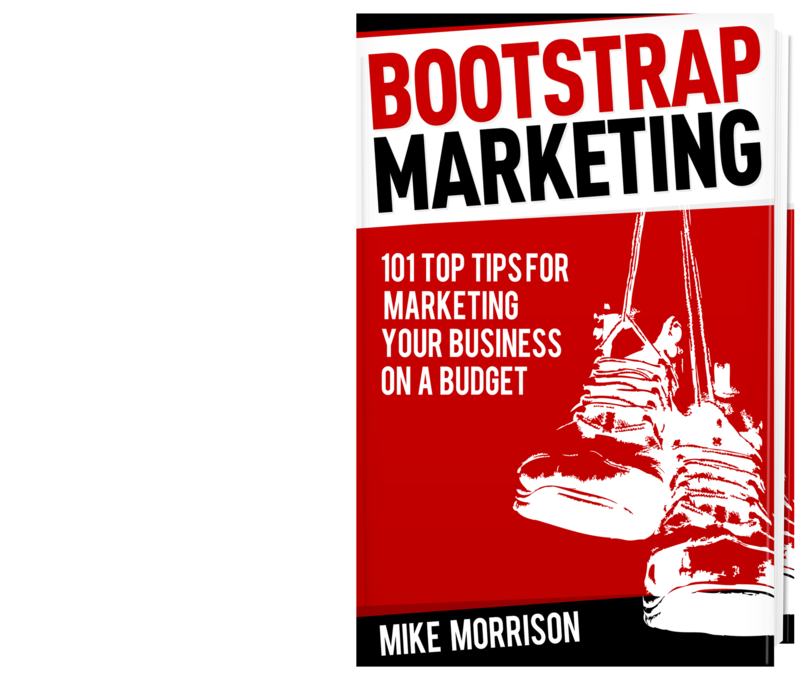 Bootstrap Marketing is a no-nonsense small business marketing book packed with 101 top practical tips for marketing your business on a budget. A great resource not only for the budget conscious but also those in need of a few jolts to support the sheer pace of new marketing techniques. Written in a down to earth, witty manner - you get a real sense of how Mike has successfully built his business, captured those experiences & fused them to together into this quality text that can be picked up time & again..
Easy to read, full of real life actions that I can see will make a difference to marketing our HR Consultancy business and plenty of honest no BS advice and a few stories of how NOT to do it! An excellent book, easy to read, full of practical tips to help market your own business with very little investment, and highly recommended! Well written in an easy to read narrative and bursting full of marketing tips and guidance for any business. All businesses need to get better with their marketing and this book is exactly what they need. For all those in business for whom, like me, Marketing does not come naturally, this book is an absolute 'must have'. 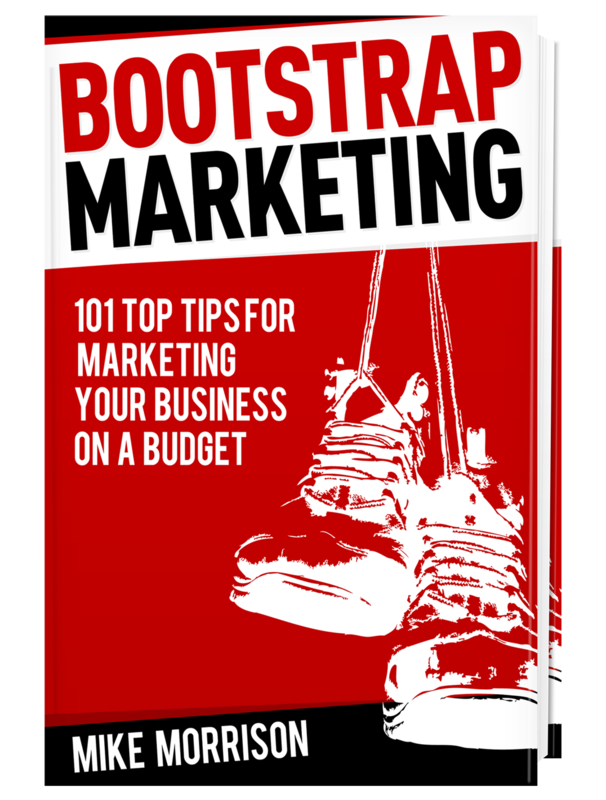 Bootstrap Marketing provides practical advice and simple strategies, backed up by real examples to empower even the least confident of marketeers to drive attention to them and their business. Presented in a 'Top Tips' format, it's easy to dip in when you need to and implement the ideas that work for you. And Mike's no nonsense style of delivery makes the read a thoroughly entertaining experience too. I love business and marketing, but my true passion is creation; taking the seeds of an idea and developing it into something awesome. Enabling others to do this & supporting their journey really floats my boat. As well as running my media and marketing companies; I talk, write and teach people about small business and marketing too.